You here a lot of talk in project-land about "Plan B": What's Plan B? they say. But, I've always been a proponent of Plan A: to wit: Do no harm; in many cases, Do Nothing. Now, the corollary is that if you don't follow the law, you may not get the results you want. Fair enough; that happens a lot. The belief that others understand them completely. The idea behind '1' is that although 'actions speak louder than words', sometimes the situation is best handled without words or actions. 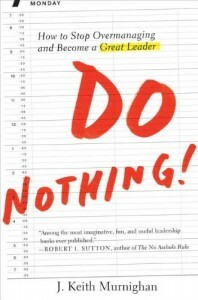 Perhaps others can get you the reaction you want... thus, we come to "Do Nothing".